After World War II, certain branches of the U.S. military and spy communities developed a curious interest in the occult. As journalists Jon Ronson documented in The Men Who Stare At Goats and Annie Jacobsen recently revealed in Phenomena, the Pentagon has long had an interest in harnessing the supernatural to win wars. Throughout the 1960s and ’70s, the CIA recruited famous psychics such as Uri Geller and attempted to turn them into assets. Geller, his handlers alleged, used remote viewing and other techniques to help America during the Cold War. When the Army joined the effort starting in the ’70s and through the ’90s, it wanted to democratize the skills of ostensible psychics such as Gellar. It wasn’t enough that the U.S. military had a stable of psychics, it wanted to train the ordinary soldier how to do it, too. The military reasoned that supernatural abilities were a skill which soldiers could learn just like any other. It didn’t go well. The Pentagon’s supernatural soldiers couldn’t keep their mouths shut and squabbled with the psychic celebrities. Most of them were so excited and awestruck by the nature of their assignment that they often blabbed to both reporters and fellow soldiers. Worse, the celebrity psychics were much better at the job than the common soldier, which led to infighting. Most of the U.S. military’s psychic programs collapsed under scrutiny before the turn of the century. During the early days of the first Gulf War, the Associated Press ran a story about the United Nations teaming up with a psychic firm made up of retired U.S. military officers with remote viewing skills. The idea was that these old soldiers with X-Men-like abilities would help track down Saddam Hussein’s weapons of mass destruction. It was the early ’90s and this was the first most Americans had heard of the long-classified attempts by the Pentagon to train up psychic soldiers. The public relations fallout involved a 60 Minutes investigation that never aired, the public smearing of military veterans who participated in the program and the Pentagon’s shuttering of some of the still-extant projects. But, in the world of the U.S. military, a little rebranding can go a long way. In 2014, the U.S. Navy’s Office of Naval Research revived some portions of the old psychic program. It got the idea in 2006, when U.S. Army Staff Sgt. Martin Richburg’s intuition warned him an impending IED attack in Al Kisik, Iraq. The Army gave him a commendation, and the ONR decided to see if it could train sailors and Marines to be as intuitive as Richburg. “We have to understand what gives rise to this so-called ‘sixth sense,” ONR program officer Peter Squire told Jacobsen in her book Phenomena. In short, can the Marines train up spidey sense? They’re trying and, thanks to a Freedom of Information Act request, War Is Boring has the manual. First of all—psychics, reading minds, psychokinesis and remote viewing is out. “Sensemaking” is in. But what the hell is sensemaking? According to the first line of the 23-page training document, sensemaking is “the ongoing process of giving meaning to one’s experiences.” That’s nice and vague. The way the rest of the manual reads, sensemaking is basically being hyper aware of your environment and then imagining a narrative to explain, and predict, fluctuations in that environment. The ONR doesn’t want psychics so much as it wants Benedict Cumberbatch-style Sherlock Holmeses. According the training manual, a Marine must develop empathy to properly communicate with individuals in a conflict environment, learn to keep their imagination flexible and learn to convey simple stories based on their observations. The Pentagon’s “spidey-sense” training sounds a lot like being a journalist with a fiction writer’s speculative edge thrown in. 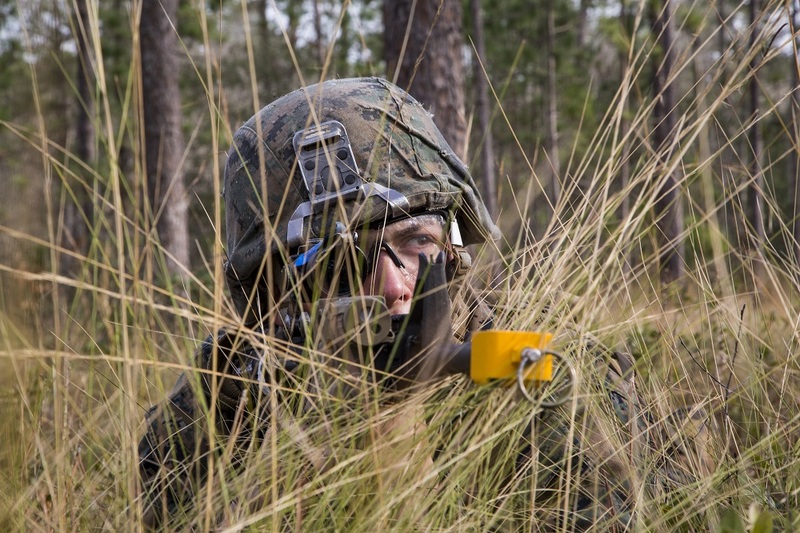 The manual provides scenarios to help Marines hone this much-vaunted sensemaking. The lessons are blunt and to the point, and seem like they should be part of any soldier’s training before going off to fight an insurgency. Scenario 3.12 in particular is an example of basic deductive reasoning and situational awareness. Looking through the manual, sensemaking sounds a lot like common sense with some creativity and sharing thrown into the mix. It’s also benign and far less goofy than the Pentagon’s previous forays into the realms of unconscious abilities. So much so that, to civilians, the process may seem overly reductive or simplistic. People walk around all day telling themselves stories about what they see. The U.S. military and law enforcement agencies work differently, though. For many people in various security services, the world is about observing and reporting. Speculation isn’t done because it’s not information that’s provable. The ONR wants to change that, slightly, with sensemaking. For now, the program is modest and restrained with the Pentagon spending just a few million dollars every year to explore the science behind the mysticism. Dead is the era of the CIA’s psychic spies and the U.S. Army’s happy Jedis. All hail the new era of practical Marines, observing, reporting … and speculating.